It's the first Sunday of the month today which means that it's Free Museum Sunday for everyone in or visiting Paris! This particular day can be a fantastic "wow, I'm so glad I did that today" kind of day or, a downright "urgh, I'm never doing that again" kind of day. Here are my five tips to make it more of the former and less of the latter. Check out our blog post to get yourself familiar with which museums are free when to plan your day. For a complete list with museums you've never even heard of before, check out this page. 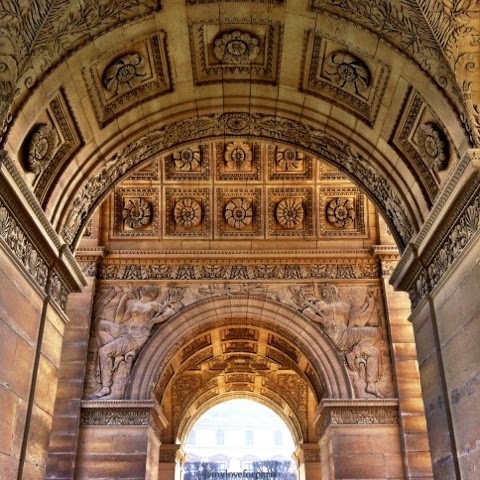 For example, if it is March, it's better to opt for museums such as which aren't free after March 31st such as the Louvre, the Panthéon, the Towers of Notre Dame, the Arc de Triomphe etc. However, if you are only here visiting, check out which museum is free on your given Sunday. There's nothing worse than lining up for a free museum then realising that you have to pay at the end. So research and have a few museums decided. That way if the line is ridiculous at one you can cut your losses and hop over to another one! Either get up early to beat the crowds or wait until lunchtime when people are eating and are less likely to be lining up. If you can't be bothered (which is often the case for many of us, myself included!) then read on directly to tips 3, 4 and 5! Bring snacks and water for the wait. But don't drink too much water because then you will have to leave the line to look for some toilets! Grab a tasty baguette on the way and have lunch while you wait in line. It's not the most pleasant dining experience but you get to kill two birds with one stone while eating and waiting, not to mention you get to save money on lunch as well as the museum ticket in the process. Instead of getting annoyed at how long you have to wait (which my partner often loves to do when I drag him along to these Free Museum Sundays! ), optimise your time in the queue. Edit those photos, reply those emails, write up your list of things to do for the week, delete and clear up some memory on your phone. There are loads of things you can do with or without internet access, and with or without a smartphone. Write those postcards, talk (?!) to people. The line does move, trust me. You just need to keep inching forward and soldier on. I successfully visited 3 museums on one Sunday once and it was a relatively painless experience for me. I dedicated the day to museums and managed to save almost 40€ in entrance fees. Another time, I decided I would make a day trip out of it instead so I hopped on the train and headed out to Château de Fontainebleau to visit the château out there instead (for free!). Remember that it's not only museums but places like Versailles as well - you just have to check out what's available.